Liberia is a coastal state founded by the liberated American slaves in 1800 on the west coast of Africa. 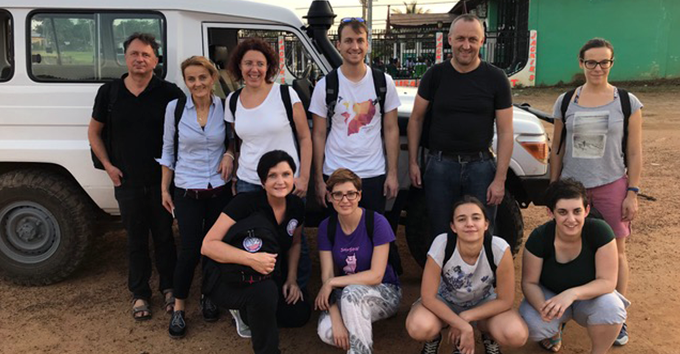 To reach the country, the team of doctors had to travel for almost 24 long hours. They travelled from Slovenia to Munich Airport to fly to Monrovia via Amsterdam. 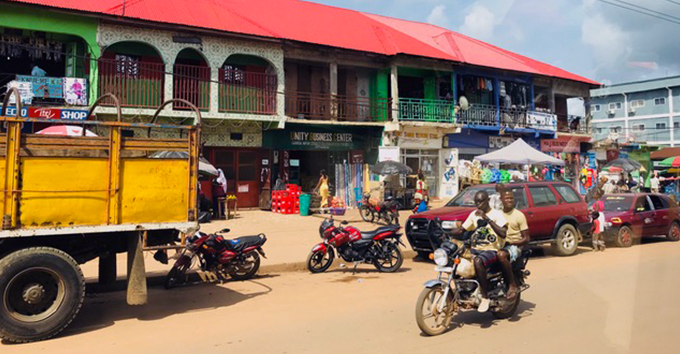 Once they landed in Liberia’s capital, they continued by van to the Nimba district, where they settled in Ganta, Liberia’s second most populated city. 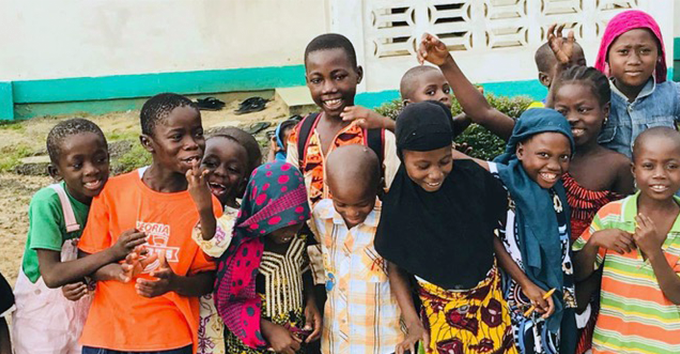 The town has been badly affected by war and Ebola and his 450,000 inhabitants are served by one hospital with only 32 beds. Slovenians love to help. Therefore, it is not surprising that a team of Slovenian doctors was one of the most numerous, consisting of: the leader of the expedition asist. mag. Jurij Gorjanc, spec. surgeon, Tomaž Benedik, spec. in general and abdominal surgery, his daughter Selena Benedik, medical student, Irena Urbančič, specialist anesthesiologist, Katja Carli, registrar in general surgery, Katarina Primožič, registrar in anesthesia, Marija Jekovec, specialist in radiology, Maria Greiner, specialist in surgery, Luka Kovač, registrar in gynecology and Mateja Selič, certified nurse. A typical day: work from 8 a.m. to 9 p.m. The members of the expedition admitted that the only sightseeing they did was by looking out of the window of the van which drove them every morning from the hotel to the hospital and back. Their days were filled with work at the hospital. Usually, their workday started at 8.am. and ended at 9 p.m. However, they did not feel bitter or disappointed, as everyone was aware of their purpose, they knew why they were there and what their goal was. 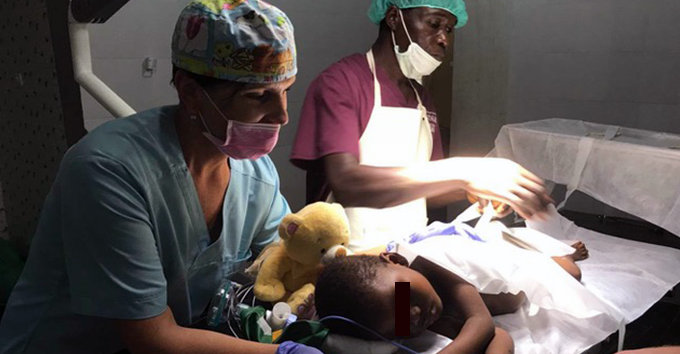 The fact that about 4 million people in Liberia are treated by only 150 doctors (in Slovenia, there is 1 doctor per 400 people) is terrifying. In fact, the Ganta City Hospital has only two doctors. It is therefore not surprising that the number of people in need of medical care is very high. The team quickly realized that they will have to adapt to extremely demanding working conditions. The operating rooms were modest and they were often left without electricity. In that case they continued working by using their headlights! With this winning attitude they have accomplished what seemed impossible. In 6 working days, they carried out 103 procedures and treated 86 patients (14 women, 72 men). The oldest of them was 89 years old and the youngest one was only 1 year old. 4The number of people in need of medical care is very high. Despite the tiredness and difficult circumstances, the entire team found it very difficult to leave. "There were tears pouring down the cheeks of female team members, while the male part admitted to having a big lump in their throats. Mother Africa really gets to your core," said Mateja Selič, a member of the expedition. "You must have a lot of courage to see and accept things as they are and not as you want them to be. When you stand face to face with the truth, it can be painful when all illusions slowly dissolve in front of you. At that time, you must gather your strengths and move forward. There is no need to mention poverty, suffering and dying. Even though they do not have material abundance, the Africans are proud, always wearing a big smile. I could even say they are happier than we are,'' concluded Mateja.